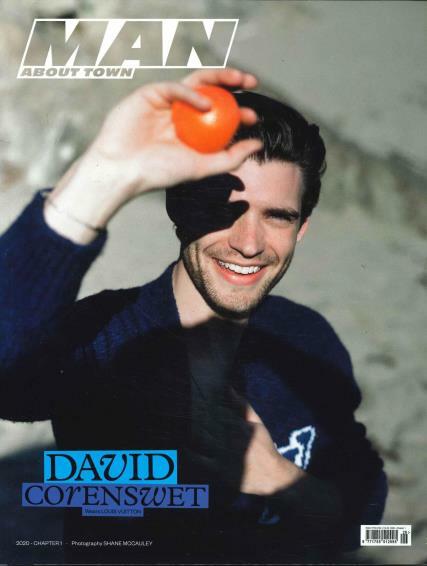 Man About Town is a bi-annual men's fashion magazine filled with the very latest men's fashion and style. Each issue has uniquely presented articles created by the leadingcontemporary stylists, journalists and photographers. Buy a single copy or subscription to Man About Town magazine. While skimming across different fashion and news magazines you may find that you are reading the same stories over and over again, unable to either find something new and different or something with depth. It is one publication that seeks to take you deeper into today’s issues and current affairs, while at the same time appealing to the style and trends that define your individuality. Man About Town focuses on you, the modern news and tech savvy man, and is passionate about bringing you the complete story that most other media agencies can’t provide. Providing a full, interesting, and certainly unique take on the subjects of their articles, with each issue you are given engaging insight that is hard to find anywhere else. Additionally, it is more than just a collection of boring informational articles as this publication is built around art, fashion, and modern style. The highly talented team of writers, journalists, illustrators, and photographers in this magazine bring a delightful and colorful look into the contemporary world of style, news, and current affairs.